One mom from the UK came up with a completely unique way to entertain herself while she sits alone with her son as he screams, grunts and does other baby things. 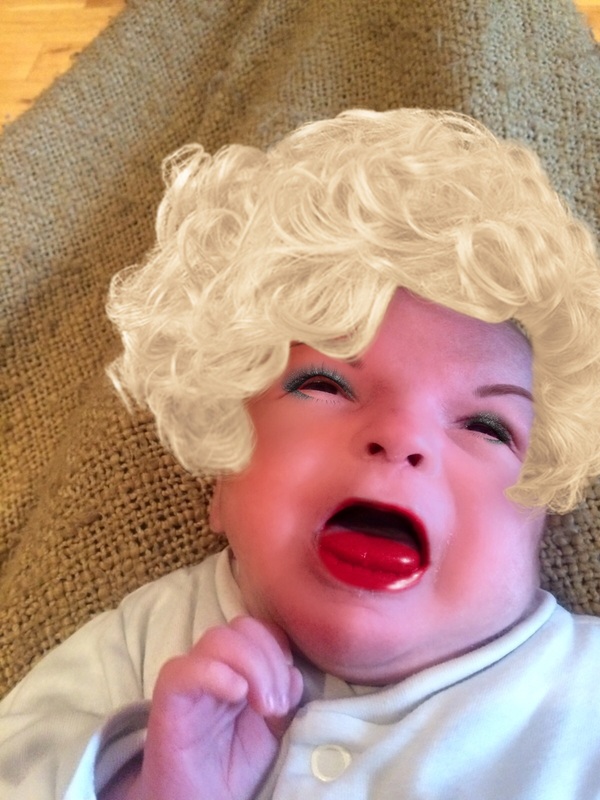 According to The Stir, 28-year old Fiona dresses her baby boy in drag. Digital drag, that is. Here’s how mom does it. Seven-week-old Gabriel passes gas, eats or screams and, in the process, he makes some seriously silly faces. 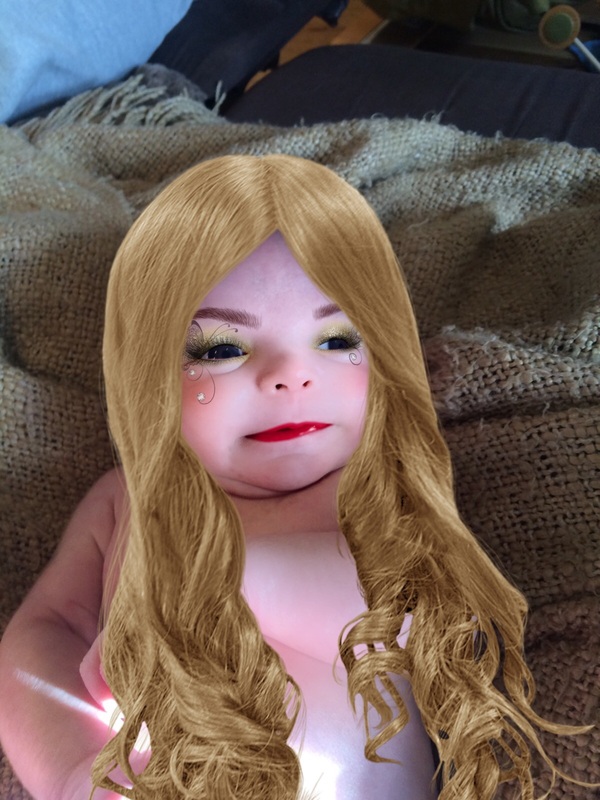 His mom snaps the photos on her phone, then adds hair and makeup to the photos with the app YouCam Makeup before uploading the pics to Imgur and Reddit. Take a peek at a couple of our favorites: a fairy and a screaming Marilyn Monroe (sort of!). And if you’re wondering what he looks like without all that makeup and hair, take a peek at Gabriel and his momma. Remember: There isn’t a drop of makeup or a strand of extension that ever touches the child. We think the results are actually pretty funny, and we can’t blame mom for entertaining herself with something like this, but so far little Gabriel’s makeovers have had some mixed reviews. Others, however, don’t share this optimistic viewpoint and are calling the mom out for making her son look like a girl. We aren’t so sure that a couple of edited pics on the Internet are going to scar a child a few years from now. What do you think, Metro Parent readers? Are these photos totally out of line and sort of creepy, or are they simply a way for a mom to deal with boredom and hours of endless crying?